"Foreign buyers will continue to support this market as their money pours in. 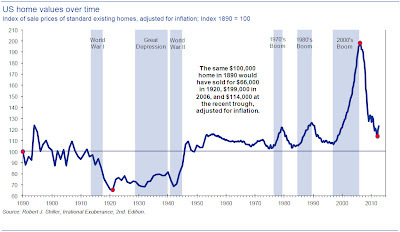 The limited amount of inventory and surge in demand will continue to push prices higher, which will only create the urgency for others to buy now." Really? Is it possible that this could actually be happening again? Are people truly insane? The phenomenon is certainly not a Miami story as the real estate madness is spreading across the country. The Fed has promised free money for everyone, forever, and investors have already in many ways become more drunk off the liquidity than they were in 2007. Some of the largest investment groups have plans to take their newly acquired army of single family homes that they are purchasing with government (tax payer) backed loans into the secondary market to securitize them (remember that term from all the movies on the financial crisis). If not, click here for a quick video that will explain. We all understand how this story ends. Investors will make as much as possible during the rise and many will walk away with billions. When the music stops they will simply once again walk away from the real estate and hand it back over to the government (tax payers) and Federal Reserve when prices collapse. When will the insanity end? Of course I have no idea as the Fed could announce tomorrow that they are purchasing $200 billion in mortgages per month instead of the current $40 billion. The government could announce that they are now providing 0% interest loans on homes instead of the current 3%. So what could possibly derail this freight train? Bloomberg reported this week that the enormous funds that are buying these homes and putting them on the market are starting to run into an unexpected problem. As the number of homes for rent continues to flood the market every month some of the homes are taking much longer than expected to rent and rent prices are even beginning to fall in some areas. We can only hope that these investment groups will be able to bundle the mortgages on as many of these homes as possible and sell them to the pension funds of school teachers and fire departments before they collapse in price once again. Here is how close we were to prices finding a real bottom before the strength of the Fed artificially began pushing prices back up toward bubble territory. Why do I say artificially? 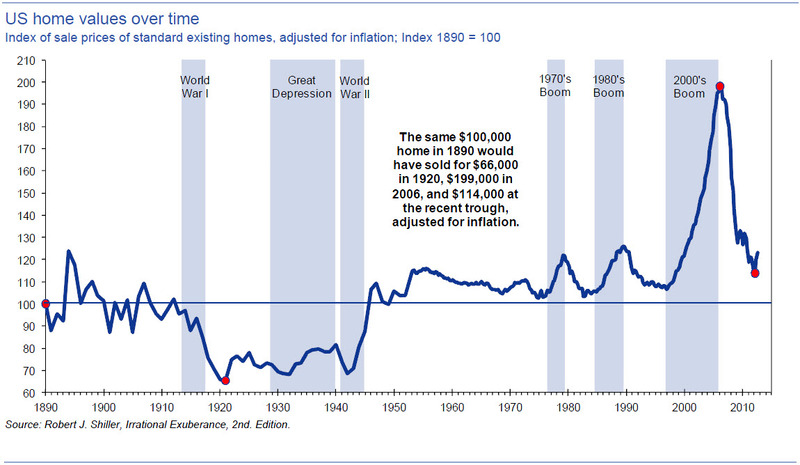 Home prices should rise based on the strength of an economy: job growth and income growth. Not free money and speculators chasing prices higher. Try not to laugh when you hear the buyers comments at the end of this video. I know this is a late post but I'm quite relating to it. Swear, this scenario will keep on happening as years pass ed through. The main reason is that we have no control of the real estate market and thus it would dictate us when to buy or sell proprties. Having read about what's in Miami, I can say that was the year of buyers since it's a good time to buy. But as the demand for condo lessens there is a possibility developers would think again and bring back their investments.